The Steered Response Power with Phase Transform (SRP-PHAT) algorithm is a well-known method for sound source localization due to its robust performance in noisy and reverberant environments. This algorithm is used in a large number of acoustic applications such as automatic camera steering systems, human–machine interaction, video gaming and audio surveillance. SPR-PHAT implementations require to handle a high number of signals coming from a microphone array and a huge search grid that influences the localization accuracy of the system. In this context, high performance in the localization process can only be achieved by using massively parallel computational resources. Different types of multi-core machines based either on multiple CPUs or on GPUs are commonly employed in diverse fields of science for accelerating a number of applications, mainly using OpenMP and CUDA as programming frameworks, respectively. This implies the development of multiple source codes which limits the portability and application possibilities. On the contrary, OpenCL has emerged as an open standard for parallel programming that is nowadays supported by a wide range of architectures. 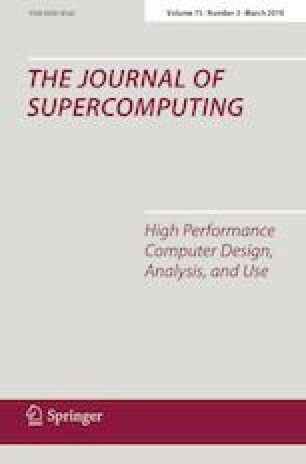 In this work, we evaluate an OpenCL-based implementations of the SRP-PHAT algorithm in two state-of-the-art CPU and GPU platforms. Results demonstrate that OpenCL achieves close-to-CUDA performance in GPU (considered as upper bound) and outperforms in most of the CPU configurations based on OpenMP. This work has been supported by the postdoctoral fellowship from Generalitat Valenciana APOSTD/2016/069, the Spanish Government through TIN2014-53495-R, TIN2015-65277-R and BIA2016-76957-C3-1-R, and the Universidad Jaume I Project UJI-B2016-20.